This is from my 190 Beeline bus stop. 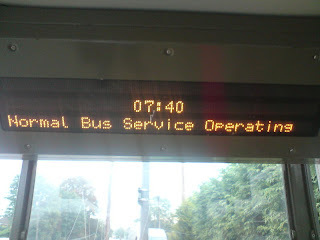 Not only is the time 20 minutes slow, the message never changes and there is no bus time table to check... Fecking rubbish!. And a random vid off the phone ! Random pictures off my phone time again ! Best SIM card deal bar none !